The Main Department for Immigration and Nationality Affairs of Ethiopia, in collaboration with Ethiopian Airlines, has launched an e-visa service for all international visitors to Ethiopia effective June 1, 2018. The e-visa service, initially launched in June 2017, was only available to a limited number of countries. 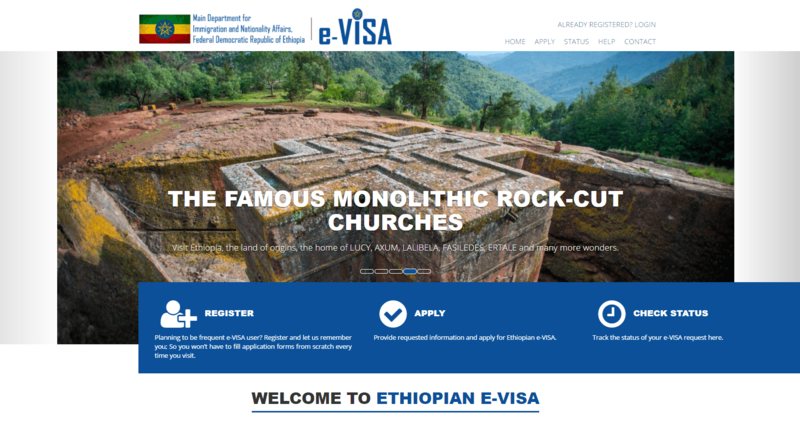 Under the new initiative, all international visitors will now be able to travel to Ethiopia by processing their visa online. The e-visa is processed and issued online on a single webpage where applicants apply, pay and secure their entry visa online. Once the application is approved, applicants will receive an email authorising them to travel to Ethiopia and they will get their passport stamped with the visa upon arrival in Addis Ababa. Speaking of the newly revamped service, Group CEO of Ethiopian Airlines, Mr. Tewolde GebreMariam, said, “Ethiopia, the oldest independent civilization in Africa and one of the oldest in the world, is endowed with historical places, natural beauty, colourful and diverse cultural activities and various endemic wild animals which are of great interest to international tourists. However, we have not made the best use of these natural resources to attract a large number of tourists. To this effect, this project is part of a new national initiative to transform the tourism sector in the country.